France has been at the forefront of the ‘war on piracy’ since they introduced the Hadopi anti-piracy law, earlier this year. Under the new legislation, file-sharers will have their IP address recorded and monitored, and account holders will receive warnings from their ISP. After three warnings, infringers risk a fine and having their internet connection terminated. However, in a counter-move, France’s largest torrent site, Smartorrent has launched a VPN (virtual private network) service, which offers file-sharer’s anonymity. TorrentFreak reports that 2,500 users of the site have already signed up for an account, which costs €5 (£4.37) a month. Despite the tough new measures, the French don’t seem to be holding back on their downloading habits. Hadopi currently sends out 25,000 warning letters a day. A German man, who as a teenager file-shared two music tracks, finally learns his fate. In 2006, a then 16 year-old used his father’s Internet connection to share two unlicensed tracks, “Angel” by “Rammstein” and “Roll Over not” by Marius Müller-Westernhagen, online. The claimant, who owned the distribution rights for the songs, had asked for damages of €300 (£261) per title. After nearly five years a German court has published its decision. Hamburg Regional Court ruled that the then teenager had violated copyright law and as such was required to pay compensation to the rights holders. However their damages demands were excessive. The Court informs the man is only liable to pay damages of €15 (£13) for each title he had illegally shared online. The court rejected the rights holder’s claims against connection owner, the teenager’s father. He neither carried out infringements or authorized them, and had no knowledge of them occurring. Although he was considered responsible for his connection, that did not lead to a liability for damages. Several factors were taken into consideration when making the decision. It was decided that as the tracks were old there would be a limited demand for them. And also, since it could only be proven that the tracks were made available for a short period of time, few downloads of the tracks would have taken place. LimeWire, one of the world's most popular P2P file sharing websites, has been forced to shut down after a four-year legal battle with the US music industry. 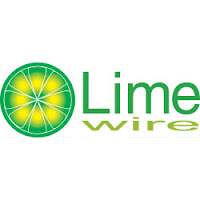 A US judge issued a "permanent injunction" late on Tuesday, ordering LimeWire to disable the "searching, downloading, uploading, file trading, and/or file distribution functionality" of the software it distributed to its 50 million monthly users to access and share files through the peer-to-peer service. Following Tuesday's injunction, the Recording Industry Association of America said the injunction "will start to unwind the massive piracy machine that LimeWire and Mark Gorton used to enrich themselves immensely." Founded in 2000 by Mark Gorton, a former Wall Street trader, LimeWire will appear in court in January, for a trial to determine the appropriate level of damages necessary to compensate the record companies for the billions and billions of illegal downloads that occurred through the LimeWire system." According to RIAA figures, US recorded music sales fell to $7.7bn in 2009 from $14.5bn in 1999. The rise to prominence of peer-to-peer file sharing networks is singled out as a primary factor for this decline. LimeWire now joins other high-profile file-sharing sites, namely Grokster and Napster, in being shut down through a lawsuit filed by entertainment companies. The 21st anniversary of The Q Awards next Monday sees the introduction of a brand new award category for emerging talent - the Next Big Thing award, the shortlist for which was announced today. The shortlist was chosen by a special guest panel comprised of Columnist of the Year Caitlin Moran from The Times, Radio1's new music guru Huw Stephens, The Sun's Showbiz Editor Gordon Smart and Q Editor In Chief Paul Rees. Commenting on the Next Big Thing, Q's Editor In Chief Paul Rees said: "One of our core aims right across the Q brand - be it magazine, online, TV, radio or live events - is to highlight and champion the very best new music for Q's audience to discover. He added, Following on from the New To Q Sessions shows in January and the New To Q tour of May, the inaugural Next Big Thing award is a natural extension of this and something that will be accelerated still, more in the year ahead. The winner of this year's award will be the band or artist Q believes to be the outstanding new talent of 2011." The winner of the Next Big Thing award will be announced at the Q Awards 2010 with Russian Standard Vodka ceremony on Monday, 25 October at the Grosvenor House hotel in London. Search engine giant Google has suggested that it could get involved in fighting online piracy and helping copyright holders track down pirated material. CNet reports that Google said it would help, but only for a price. They could charge copyright owners - such as movie studios and record labels - a fee to help them identify their infringed material. It quotes a leaked letter from Google executive James Pond in relation to the company's Site Search offering. He indicated Google could charge a fee of $5 (£3.12) per 1,000 searches. They would only cover searching for links but not their removal. A spokesperson for Google confirmed Pond's letter had been sent and told CNet, “As always, Google honours valid legal removal requests. We don't charge for removals and have no plans to. We have a great relationship with the music industry and have worked consistently with them to advance their interests through services like YouTube Content ID, our music search feature, and our developer tools." In the coming months Google is expected to launch a cloud-based music service. The company has indicated that its Android mobile platform will be key to the offering. In an attempt to fight the rising rate of music piracy, the French government has launched a scheme to try and encourage people to download music legally. French residents who buy a card to download music from subscription-based websites will only have to pay half of a €50 card, with the government paying the remainder. The government hopes the scheme, which is targeted at 12-25 year olds, will encourage people to download music files legally and not indulge in illegal file sharing. According to the French government, the scheme will cost around €25 million or £22 million, if it manages to sell one million music cards within a year. Online music download websites will be forced to comply by the subsidised prices offered by the scheme, by reducing download charges, extend the subscription period and marketing the new scheme. The strategy has been approved by the European Union and was praised for its promotion of cultural diversity. The winner of the unsigned TV talent show ‘Must be the Music’ has been signed by Take That frontman, Gary Barlow. Emma’s Imagination - aka Emma Gillespie - from Glasgow beat five other finalists to win the Sky1 show and the £100,000 prize. The 27 year old former busker has been signed by Gary Barlow's record label Future Records, in a joint deal with Polydor. The Scottish singer has already been in the recording studio and the label is hoping to put out an EP before Christmas which will include rerecording’s of two of the songs she performed on the show, Focus and This Day. Both songs have already charted in the top 10 following her performances on the show were released digitally. The unlicensed Mulve music download service has been shut down following the arrest of the sites operators in the UK, according to reports. Mulve first appeared at the end of September, offering unlimited downloads of 10m tracks from a set of servers, believed to be in Russia, rather than via decentralised a P2P network. TorrentFreak claims the site itself was not hosting any music but instead “pulled it from hardware owned by Vkontakte, Russia's biggest social networking site”. Since Mulve first appeared it has played a game of cat and mouse with organisations such as the RIAA in the US, initially disappearing then quickly resurfacing. Similar sites are expected to spring up in its wake after the code on which Mulve ran was released. The UK's biggest indoor winter music festival Liverpool Music Week starts 29th October and this year sees a cutting edge line-up of artists perform at venues across the city. This year’s event will feature performances from the likes of Leftfield, Efterklang, Chase & Status, Dan Le Sac vs. Scroobius Pip, Warpaint, Hadouken, Beardyman, K'naan and !!! Chk Chk Chk who will perform their first Liverpool show in over 7 years on 31st October. 2009 attracted 65,000 people to the city and has recently been shortlisted in the Best UK Metropolitan Festival category at the UK Festival Awards. The multi-venue event, which began in 2003, offers a combination of free and ticketed shows for music fans. The free music agenda has always been an integral part of the festival's blueprint, and this year audiences will also be able to get the chance to see exciting new acts such as Sleigh Bells, Field Music, Egyptian Hip Hop, Chapel Club, and Los Campesinos! Also performing is former Rascal and Last Shadow Puppet Miles Kane who will make his Liverpool solo debut on Thursday 11th November. Another highlight of the free show agenda comes from one of Liverpool Music Week's favourite sons. John Power will return with Cast to play in the performance space at BBC Radio Merseyside. John has a special affiliation with the festival since his legendary show back in 2005 where he was joined on stage with the La's bandmate Lee Mavers. This unique performance from Cast, especially for LMW, will precede their full UK tour including 3 sold-out o2 Academy Liverpool dates later in the month. You can access more information on these shows by checking the festival Facebook page at www.facebook.com/liverpoolmusicweek. Organisers will make announcements on how to guarantee entry to free events via the Facebook page. Edinburgh’s Hogmanay is one of the biggest New Year parties in the world, and one lucky Scottish band will be given the chance to kick it off in style. Edinburgh’s Hogmanay have launched a new scheme, called ‘Hog the Stage, inviting up and coming bands to do battle for a coveted spot upon the stage of the capital’s world-renowned New Year street party celebrations. They’ve teamed up with Leith Records and The Skinny to search for the brightest and best of home-grown talent, giving the ultimate victors the chance to Hog the Stage on 31 December, and share the rapturous applause of international tens of thousands with headliners Biffy Clyro and many more as-yet-to-be-announced acts. Any band from or based in Scotland can enter, but judges will be putting particular emphasis on looking for emergent, unsigned acts. All band members must be over 16. If you’re act is shortlisted, you’ll be asked to play a preview night at the HMV Picture House on Friday 26th November, and of course be available to play to thousands on December 31st in Edinburgh. All entries must be in by Friday 12th November and shortlisted bands will be announced on Monday 15th November. 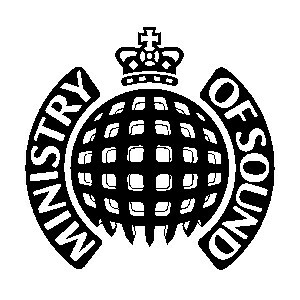 Ministry of Sound has spoken out against file sharers who've illegally shared its music. The BBC reports that the UK record label went to court on Monday (4 October) to ask for the names and addresses of 2,000 people it claims have illegally distributed its music. The judge said Ministry needed to prove people were illegal downloaders. The case has been adjourned until 2011. Ministry's CEO, Lohan Presencer said: "We can't afford to have our business and artists stolen from any more." The Ministry boss asked "What's the alternative?" "If I ran a shop and someone came into the shop and started stealing things off the shelves, should I just allow that to happen? 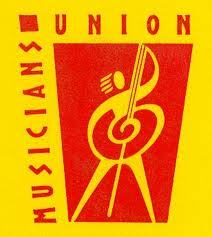 Lohan Presencer added "We can't afford to have our business and artists stolen from any more and we have to take some action." Reports show that over the last 10 years internet piracy has grown rapidly. BitTorrent websites give access to music files that can be downloaded without any payment. Lohan Presencer says it's time record labels fought back: "Every record company has been suffering from piracy. These people are stealing. I'm afraid you can sit on the side-lines or you can say, 'No this is wrong'." The Label is confident it will eventually get the information it wants from BT-owned internet service provider (ISP) PlusNet. BT, the UK's largest broadband company, has already said it's unhappy with the way some law firms are trying to stop possible illegal downloaders. It wants Ministry's demand to become a test case, with a judge deciding what is acceptable when it comes to taking on illegal downloaders. BT says it wants to ensure broadband subscribers are adequately protected. The BBC has reported that in a statement, BT told Newsbeat that rights holders should be able to make claims for copyright infringement but without causing unnecessary worry to innocent people. Ministry of Sound has already had thousands of letters sent out on its behalf. Some people have already agreed to pay hundreds of pounds to avoid court action. YouTube, iTunes, The Music Fix and BBC Introducing were among the winners at last night's BT Digital Music Awards in London. Muse won best fan site, Pendulum won best music app of the year and Gorillaz walked away with best artist promotion. Winners of other artist’s categories include Lady Gaga, Cheryl Cole, Dizzee Rascal and JLS. ‘Nokia presents Rihanna Live’ was named as event of the year. The BT Digital Music Awards was established in 2001 to recognise the pioneers in the then fledgling digital and online music industry. KT Tunstall was tossed into the limelight by Jools Holland five years ago; the Fife singer-songwriter's third album should make an even longer-lasting impression. KT became famous playing folky acoustic pop, but Tiger Suit represents a directional shift for Brit and Ivor Novello Award winning Scottish songstress. KT calls it ‘nature techno’ due to its mix of organic instrumentation and dance-friendly textures. Recorded at Berlin's legendary Hansa Studios, the inventive follow-up to 2007's platinum selling ‘Drastic Fantastic’ merges raspy folk with campfire rhythms. Tiger Suit sees KT encompass a more edgy feel and bolder musical styles. Album opener Uummannaq Song named after a town in Greenland captures the change in style with backdrop of keyboard drone, simmering snake rattles, a tribal-cry hook and Afrobeat guitar. KT rocks with Madame Trudeaux's swaggering blues. There’s a maturity in her voice, confidently exploring a range of pop with alt-folk. She confirms her ability to pen catchy yet credible pop hits with reflective first single (Still a) Weirdo, highly infectious Come on Get In and urgent, Fade like a Shadow. Seasick Steve adds a broody hum of guitar on Golden Frames and there's a bluesy feel, a darker complexity in the driven twang of Push That Knot Away. Tiger Suit still plays to KT’s strengths as a tunesmith and perceptive lyricist, and features more up-to-the-minute ingredients than her previous work, with some tracks harnessing electronic beats to her acoustic guitar. This new album reveals her as supremely confident with her studio arsenal, and richness to the songs gives this record a lot more depth than its predecessors. If you love music, whether it is blues, rock, pop or dance, you will adore Tiger Suit.